The Leaning Tower of Pisa was supposed to stand up straight. But if it had, would anyone bother to visit it today? The lore of failure consumes our culture. In our lifetimes, the passing of eight-track audio tapes and the Beta Max VCR have been memorialized by nostalgic television programs and movies. Looking further into the past, dinosaurs, an extinct race of giant reptiles that once ruled the earth, are now the fodder of elementary school imaginations; the answer to why these ancient behemoths disappeared continues to perplex and fascinate world-renown scientists and four-year-olds alike. The persistence of these bygone novelties is more than just a celebration of the past; it's a kind of prolongation of it. An aging thirty something's wistful recollection of his once-prized Supertramp eight-track and that terrible movie about the discovery of a Brontosaurus living somewhere in the African jungle both reveal a hope that these obsolete remains of our past can continue to provide us something alive and relevant. This sort of impulse is so strong, we've begun making up stories of failure about ourselves. Perhaps looking for inspiration in the malfunction of human evolution, some believe a primitive human ancestor lurks deep in the woods of the Pacific Northwest or the Himalayan Mountains, the lonely survivor of his ill-fated race. Plato told of the mythical lost city of Atlantis, a vast idyllic city-state that purportedly sank somewhere in the Atlantic Ocean. Whether these stories are actually true is of little consequence, although it's worth noting that each can be compared to real events in human history. Atlantis to the mysterious fate of the Minoans on Crete; sasquatch and the yeti to the period, ages ago, when the last Neanderthals coexisted with our ancestors, the CroMagnons. 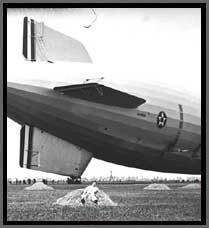 In the early 20th century, many thought airships were the future of flight. The eight-track, the dinosaur, Bigfoot, Atlantis, the Tower of Pisa, and Titanic; the failure of each was notable not because of the scale or enormity of its failure, but because of what each innovation supposedly represented: a culmination. Whether that culmination was in hi-fidelity home stereo equipment, the evolution of primates, or medieval architecture, these illustrious anomalies serve as a reminder that our achievements are fallible; that time does not advance in a steady wave of progress. Things go awry. Species grow in funny, unexpected directions. They say that history repeats itself. Yet, these stories suggest that, at the same time, we're telling ourselves to expect the unexpected; that the lessons of the past won't necessarily bear out in the future. Perhaps this tension is one of the reasons we continue to repeat our mistakes. For instance, in the early twentieth century, as the future of transportation shifted from the sea to the sky -- and in the wake of the much-publicized Titanic sinking -- some looked to the breed of lavish ocean liners that Titanic had come to epitomize as an example. In his book IMAGINED WORLDS, Freeman Dyson recounts the tale of the R101, an enormous dirigible designed in 1926 to be the airborne equivalent of a luxury liner. 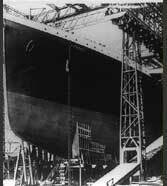 The ship had a lounge, a dining room, promenade decks, passenger cabins, and even a smoking room. "At all costs," Dyson writes, "the R101 had to be the largest airship in the world, and at all costs it had to be ready to fly by a fixed date in October 1930�" And it did fly. On its way to Karachi, India, the R101 made it as far as France, where it crashed into a field on October 5, 1930, killing 48 of its 54 passengers. The strict deadlines and size expectations of the R101 were symptomatic of a phenomenon Dyson refers to as ideologically driven technology. The ideology, in this case, was the promotion of British imperialism. Taken by the visually striking image of a giant blimp and the deluxe accommodations a ship such as the R101 could offer, politicians seized on the notion of using airships to unify Britain's imperial holdings, from Canada to India and, eventually, to Australia. Assuming that lighter than air technology would support a vast network of transportation hubs, they instigated the Imperial Airship Programme in 1924.